Monticello Plumbing and Heating knows the value of having hot water for showering, bathing, or cooking. We wouldn’t want to be without hot water ourselves, so we make it a priority to get your old unit either fixed, or replaced in a timely manner. Water heater repair and replacement is not something that should be performed by the average homeowner. There is real danger involved with both gas and electric models. Improperly vented gas models can also cause carbon monoxide which is known as the silent killer. 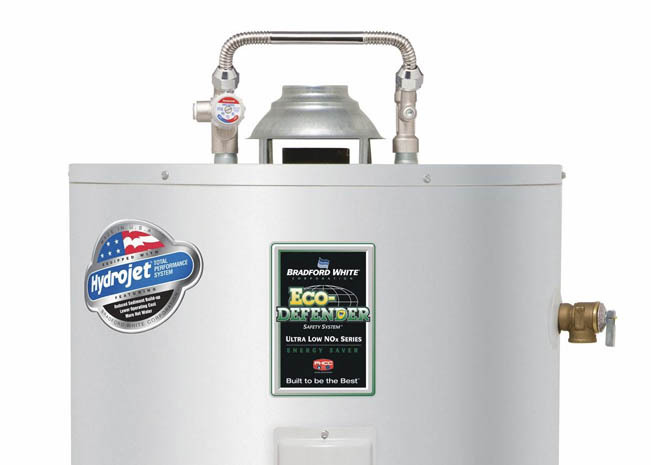 All water heaters are not created equally, and purchasing a professional model from us will take the worry off of shopping for your own, and you know it will be the right model for your situation. Beware of the big box stores models that claim to give you a 6 year warranty, when their warranties are pro-rated. Our water heaters are backed by a full 100% parts warranty for 6 years, and we offer extended warranties on top of that. If you need a replacement water heater, we can get you taken care of. We stock a variety of new water heaters including tankless and energy star rated high efficiency models so you won’t be waiting to get yours installed. We offer same day replacement of your old unit. The new model will be sized properly for the household you live in, professionally installed, and backed up with a great warranty, for piece of mind down the road. We stock a variety of parts for many different brands, as well as a complete inventory for the Bradford White brand that we offer. We want to make sure we can get your water heater up and running as soon as possible.